Southern Loggin’ Times March issue mentions second generation loggers Chris and Reggie Goodman, who always look on the bright side. Dennis Wall likes to do things his way, the old-fashioned way, with a few new twists. The Redfern family is happy to keep things going the way they’ve always been. 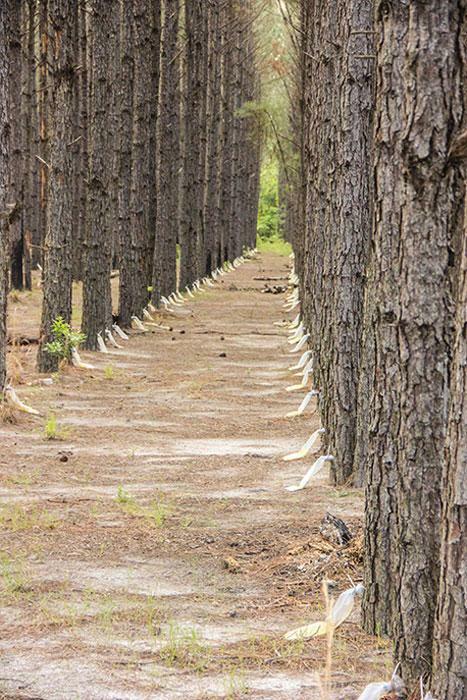 Also, a group of four in south Georgia hopes to bring back the turpentine business. Southern Loggin’ Times magazine Associate Editor Jessica Johnson travels to Monticello, Arkansas to spend some time with Goodman’s Logging. The Goodmans are the type of family you want to have over for dinner. Since they’re constantly smiling, it’s hard to imagine brothers Chris and Reggie ever having a bad day. They assure SLT that those days happen, but with a wide smile, older brother Chris says, “When you’ve got multiple breakdowns, it’s time to call it quits on the day and go on home.” Reggie smiles and says that logging is all they’ve ever known and they wouldn’t want to do anything else, even on breakdown days. Chris and Reggie are second generation loggers. In fact, Chris tells the story of remembering, albeit vaguely, Reggie and his twin sister Regina coming out to the woods and getting their diapers changed while mom Martha ran a chain saw. 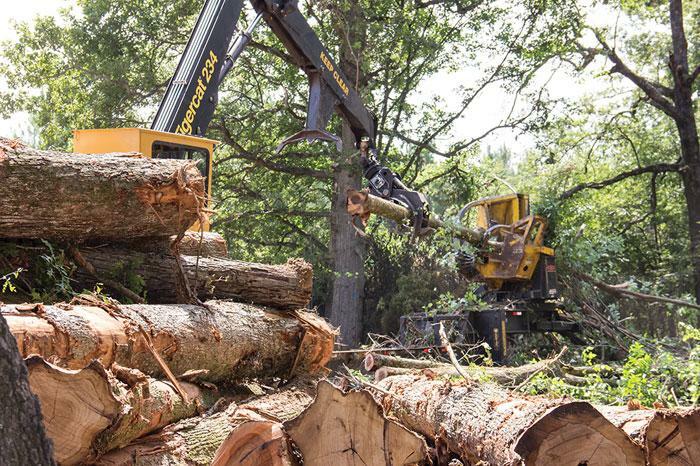 It’s this type of work ethic, and large family—Chris and Reggie are two of six—that has made Goodman’s Logging a notable fixture in southern Arkansas. Southern Loggin’ Times magazine Managing Editor David Abbott has the opportunity to visit Mountain View Farms, Inc. in Edgefield, South Carolina. Loggers are often resourceful personalities, able to come up with their own, sometimes unique improvised solutions to the multitudinous problems they face, constantly tweaking the minute details to gain greater efficiencies. Sometimes the improvements appear simple, but can be very effective in achieving significant results. Dennis Wall, 59, owner of Mountain View Farms, Inc., is certainly no example of this. 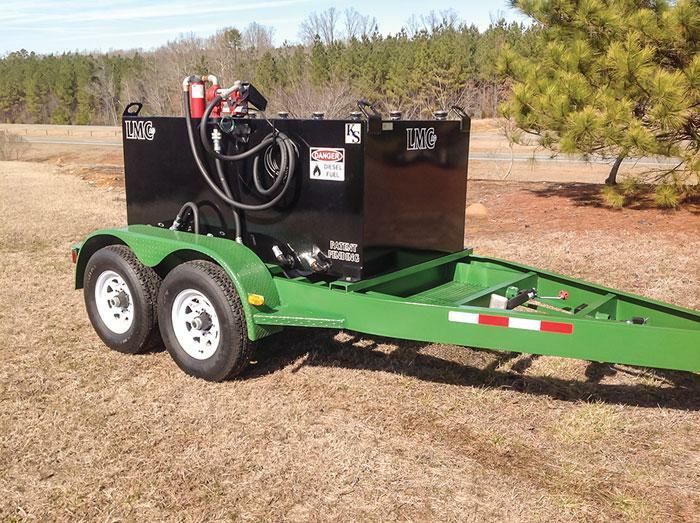 Case in point: Wall had his welder modify an existing Big John trailer, a 2010 model, with a design he had for a flip bolster. He then sent pictures of that to Big John and they built a second one for him a year ago. 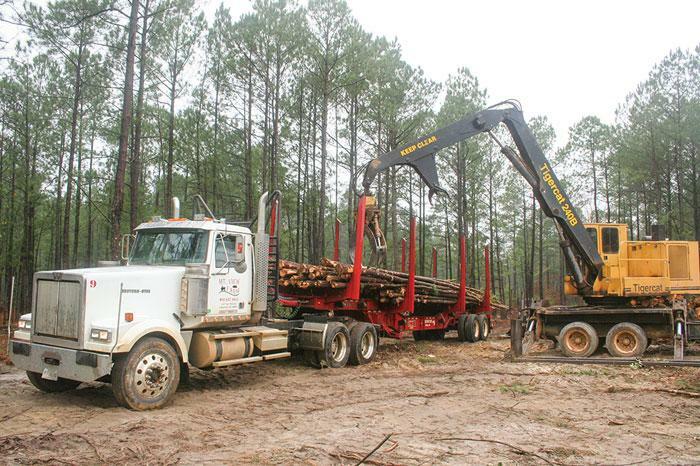 The added bolster can be flipped up to convert the half-plantation trailer to a double bunk. The option, he says, allows him to haul 3,000 lbs. more per trip on those super light duty trailers. 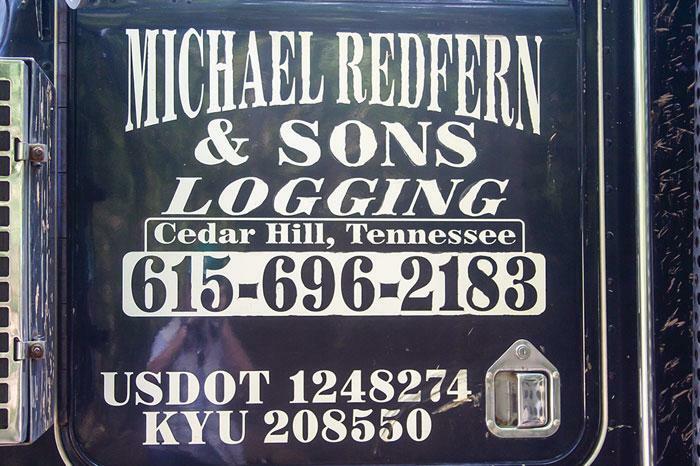 Southern Loggin’ Times magazine Managing Editor David Abbott visits with Michael Redfern & Sons Logging, located in Cedar Hill, Tennessee. 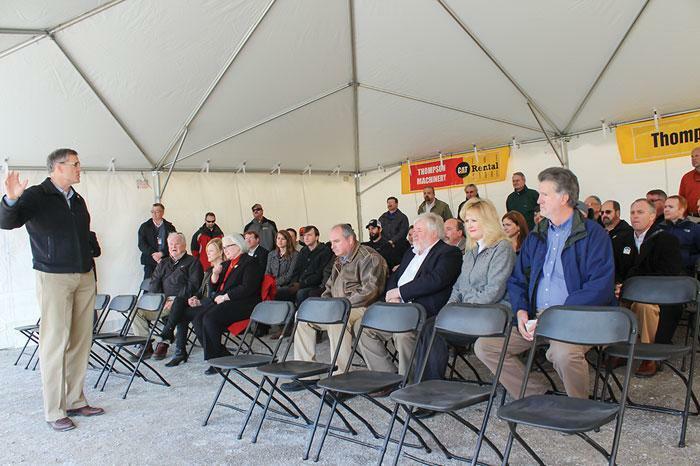 Tradition is the hallmark for the Michael Redfern and Sons family operation. Owner Michael Redfern, 56, has been running the company since his dad died 30 years ago. “I worked with him every day as soon as I was old enough to walk around behind him,” he recalls. He was following in his dad’s footsteps in more ways than one, as his father had done the same with his grandfather. Now the fourth generation is keeping up the same family tradition. Both of Michael’s sons, Justin, 30, and Jonathan, 29 (they call him Jono, pronounced John-O), have been in the woods with him since they finished high school. “They wanted to help me and they just kept helping me,” Michael says. “We do things the old fashioned way because that’s the only way we know how to do it,” he adds. 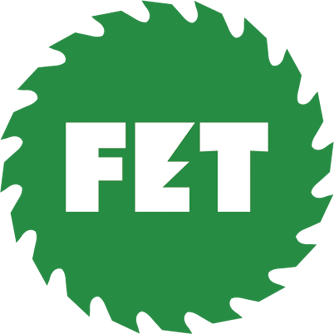 Working in upland hardwood that is not easily accessed, the Redferns shun newer equipment for both practical and financial reasons.